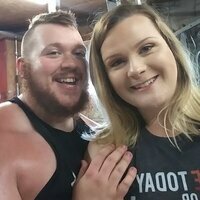 Schiek Ultimate Grips at Bodybuilding.com - Best Prices on Ultimate Grips! If you find lifting straps too cumbersome or take too long to wrap, our Schiek 1900 Ultimate Grips may be your answer! The Schiek Ultimate Grips can be used for both pulling and pushing exercises and acts as both a lifting strap and wrist support all in one. The Schiek Ultimate Grip is quick and easy to use. A versatile accessory that works as an all-in-one palm protector, wrist support, and lifting strap. Made from genuine Durahide leather with black neoprene stretch padding, the Schiek Ultimate Lifting Grips can be worn flat against the palms or wrapped around the bar and under the hand like a leather hook lifting strap. With either approach, the padding conforms to the bar for a secure grip while helping to prevent blisters and calluses. Meanwhile, an adjustable, heavy-duty nylon strap and thick pad keep the wrists well cushioned and supported. Schiek’s “un-glove” design helps the Lifting Grips offer a better range of motion for the fingers, and an easy release on/off buckle makes them simpler to remove after a workout. Before ordering your pair, be sure to accurately determine your glove size using the sizing chart below. I had never seen product like these prior to using the Ultimate Grips, when I got them out of the packaging I kinda looked around like, uhhhh, how do I use these? I wasn't sure which exercises I would use them for other than deadlifts, but I have a weaker grip with my right hand so these are especially beneficial for me while doing pull-ups, lat pull downs, rows and many other pulling exercises. 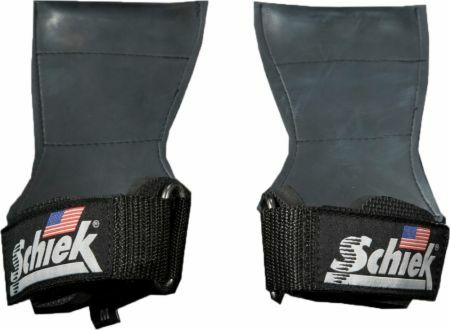 These are Schiek's 'un-glove' design which allows are wider range of motion. They protect your palms and hands from getting fatigued throughout your workout. Yet again, Schiek incorporates their wrist support in this product as well. 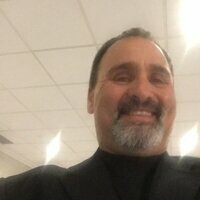 They have consistency in their products by allowing them to be all-in-one products or multi-use without having to purchase each and every one separately. I will say the Ultimate Grips take some time to getting use to especially if your new to the product itself or anything like it. After using these a couple months they still look like new, and the leather hasn't cracked, or really 'molded' much to one shape. I personally think that's a good thing, some people may not like that it doesn't 'mold' to them. The reason I think it's a good thing is because it allows you to flip the product over or underhanded depending on what your needs are or the movements you're doing that day. The only negative thing I would say about the product is when your doing deadlifts, and doing pretty heavy lifting, the wrist support at times will slide down to your thumb a bit. This may make the grip a little more difficult just simply by sliding down a couple centimeters. The Ultimate Grips retail on Bodybuilding.com for $39.95, again, not a bad price point since it includes so many benefits in one product. If you've tried lifting straps and their not your thing or you just may not like them, the Ultimate Grips may be something you're interested in trying. Overall, the Ultimate Grips would get a 9/10.